About | Norwood & Co.
Norwood & Co. is a division of Norwood Masonry Inc., a locally owned and operated company established in 1977 by Gordon C. Norwood. In the past decade our company has expanded to include a second generation of masons including owner, Adam Norwood. 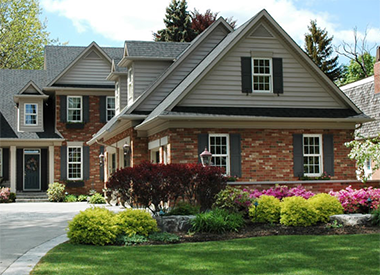 After almost 40 years in operation, Norwood & Co. continues to provide clients with exceptional service in the masonry, excavating, and general contracting business. 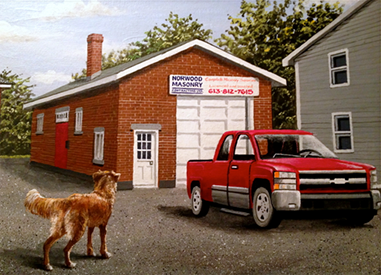 Serving residential, commercial, and industrial properties across eastern Ontario, Norwood & Co. operates from its shop at 9 Foster Street in Perth, Ontario. Because we are a local, family owned company, we rely on word of mouth and the quality of our workmanship to further our business. Over the years we have dealt with thousands of satisfied customers who continue to refer us to their family and friends. Why? Because we stand behind our work. When you rely on Norwood & Co. to complete a job, you know it will be done right. Combined, our team has over two hundred years of experience and we are continually growing; frequent training and certification keeps us up-to-date on the latest building techniques. Moreover, we won’t leave until the job is done. And you can rest assured that while we complete the project we will treat you, your property, and your neighbours with respect. We believe it’s important to give back. As a sign of respect and commitment to the community in which we work and live, Norwood & Co. supports local community events. Every year we donate time, money and resources to various organizations. Recent monetary donations have gone to support local athletic teams as well as the Perth and District Union Library’s literacy-tutoring program. Crewmembers have donated their time and expertise to help build a home with Habitat for Humanity and we have donated supplies for community improvement projects like the Big Ben statue erected at Stewart Park. Norwood & Co. was the Platinum Winner for Masonry as voted by Metroland Media readers.